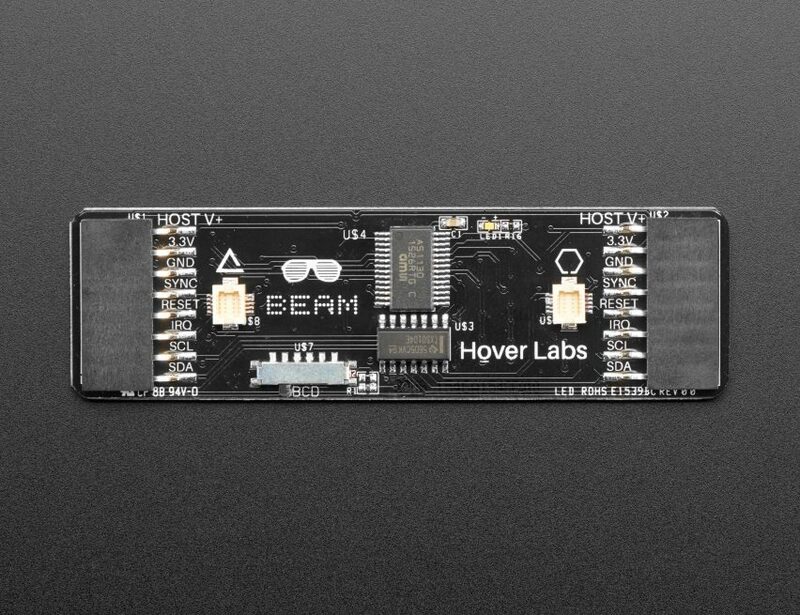 NEW PRODUCT – Beam Pluggable LED Boards by Hover Labs « Adafruit Industries – Makers, hackers, artists, designers and engineers! 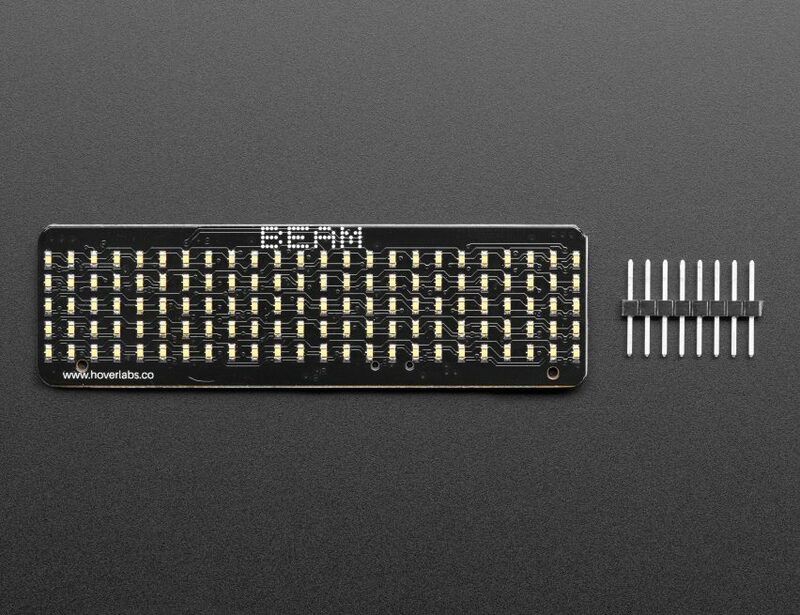 Beam is a beginner-friendly PCB with 120 LEDs arranged in a 5×24 grid, a great size to display text or animations in your project. 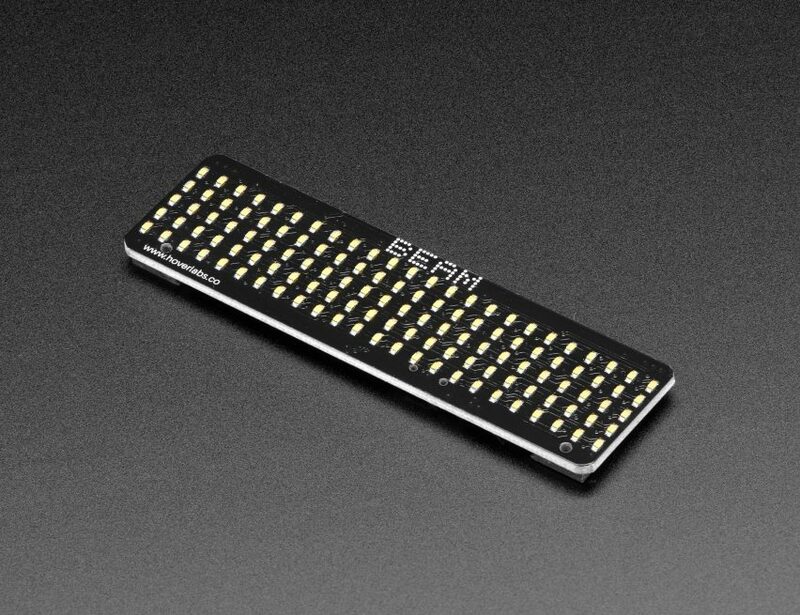 Plug in one to four to create a long blinky display that can be controlled by any 3-5V microcontroller or microcomputer (e.g. Arduino, Raspberry Pi, Particle, and more). 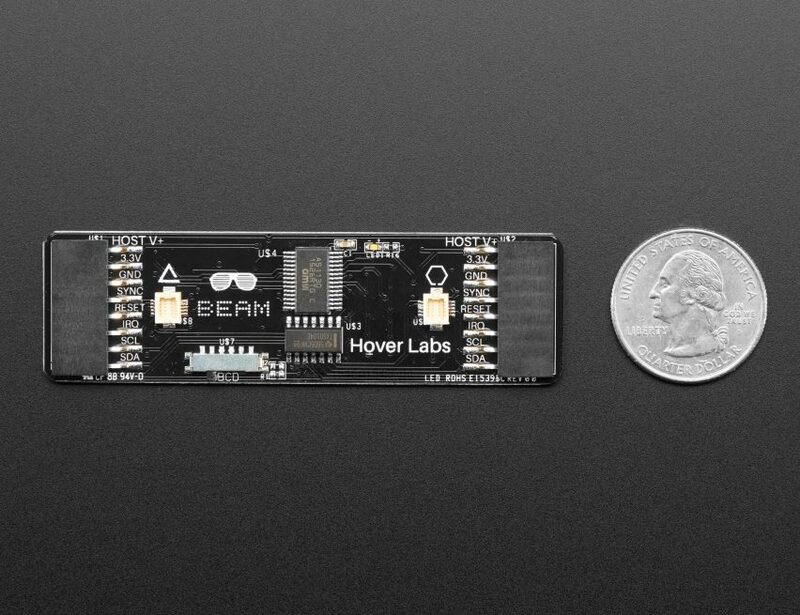 The Beam boards communicate via I2C so you only need 2 pins! Build a line of glowing notification text or even animation! Beams can be daisy chained — up to four in a row! Go from a single 5×24 grid to a 5×96 grid of 480 LEDs. 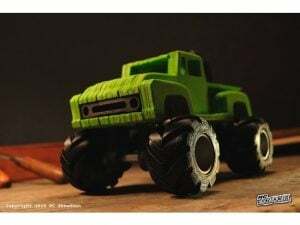 Don’t worry if you’re still working on your soldering skills because the dual side connectors make it easy to snap together.